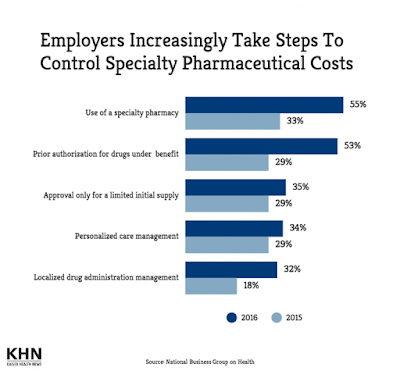 More than half of large employers in 2016 will aim to more tightly manage employees’ use of high-priced specialty drugs, one of the fastest-growing expenses in their health plans. 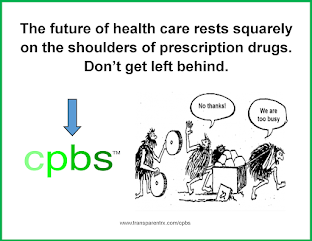 Despite those efforts, companies still expect the cost of specialty drugs that are carefully administered to treat conditions such as cancer, HIV and hepatitis C to continue rising at a double-digit annual rate — well ahead of the pace for traditional pharmacy drugs or companies’ overall spending on health benefits, according to the National Business Group on Health. The group released a survey Wednesday that found 55 percent of employers next year plan to direct employees to specialty pharmacies if they need drugs that can cost thousands of dollars for a single treatment. That share was up from a third in the group’s survey a year ago on companies’ plans for 2015 health plans. 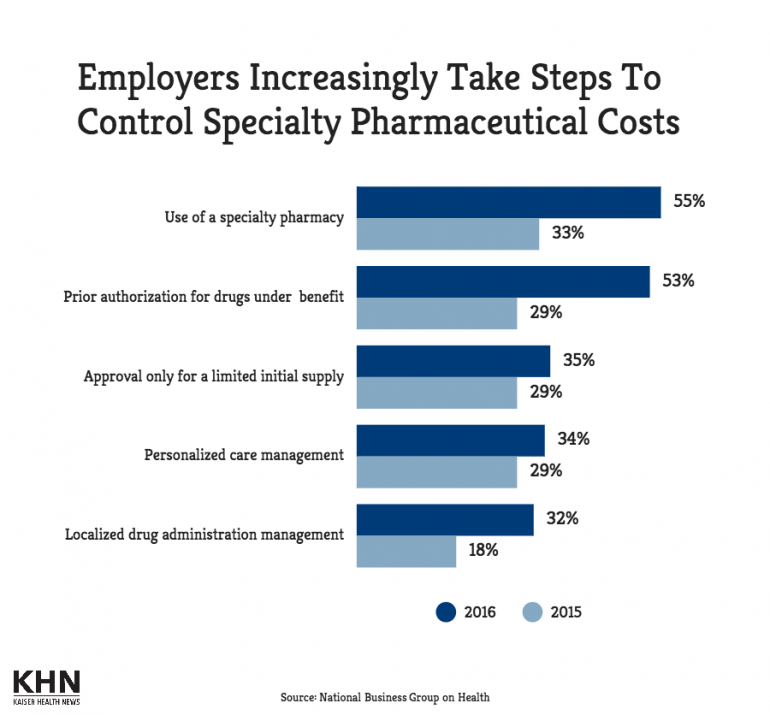 More companies also say they will require employees to get prior authorization before buying specialty drugs under the employer’s health plan — 53 percent vs. 29 percent a year ago. The survey, conducted May 19-June 24, reflects the plans of 140 employers who insure more than 10 million people in total, including employees and their families. What’s driving companies’ focus on the price of specialty drugs is the anticipated 2018 arrival of a federal excise tax on high-cost health plans. Under the Affordable Care Act, employers could be subject to a 40 percent tax on the amounts by which the costs of their sponsored plans exceed government-set thresholds. 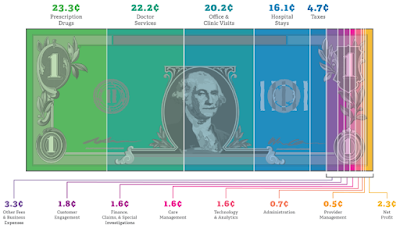 Revenue from the so-called “Cadillac Tax” is meant to help pay the cost of providing health insurance under the health law to previously uninsured Americans and curb growth in health care spending. Nearly half of employers surveyed by the National Business Group on Health said at least one of their health plans will exceed the excise tax threshold in 2018 if they did not make any changes. The majority of employers said they expect overall health plan costs in 2016 to rise by 5 percent on average after health plan changes are made.